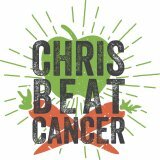 which was also a staple in my anti-cancer diet: Apple Cider Vinegar. Apple Cider Vinegar is exactly what it sounds like: Vinegar from fermented apple juice. If you’ve never had it, it tastes like vinegar but with an appley twist, and is celebrated in the natural health world as a “cure-all” internal cleanser. It’s rich in enzymes and potassium, which your body uses to regenerate soft tissue, and it’s an alkalizer. Studies have also shown it may be able to kill cancer cells or slow their growth. Nice! candida, acid reflux, sore throats, contact dermatitis, arthritis, and gout. * Soothes Tight and Aching Joints and Sore Muscles from exercise * Soothes irritated skin. Whether all those claims are true, I don’t know. All I know for sure is, I love it. And I never liked vinegar until I tried Apple Cider Vinegar about 12 years ago. Now I’m a fiend for it. The most popular way to take it is to mix a teaspoon of ACV with a teaspoon of raw honey in a glass of filtered water. Even if you don’t like vinegar, that makes it super easy to drink; kinda like diluted apple juice. It’s a great way to start the morning and they even bottle it and sell it diluted with honey as a beverage. I took the picture on the right when I saw some recently in Fresh Market. I also mix ACV with olive oil and spices in a salad dressing I make from scratch, and I often just swig it straight out of the bottle for a little kick. Of course it’s a great healthy substitute for any recipe that calls for vinegar, just prepare for a slightly different flavored dish. 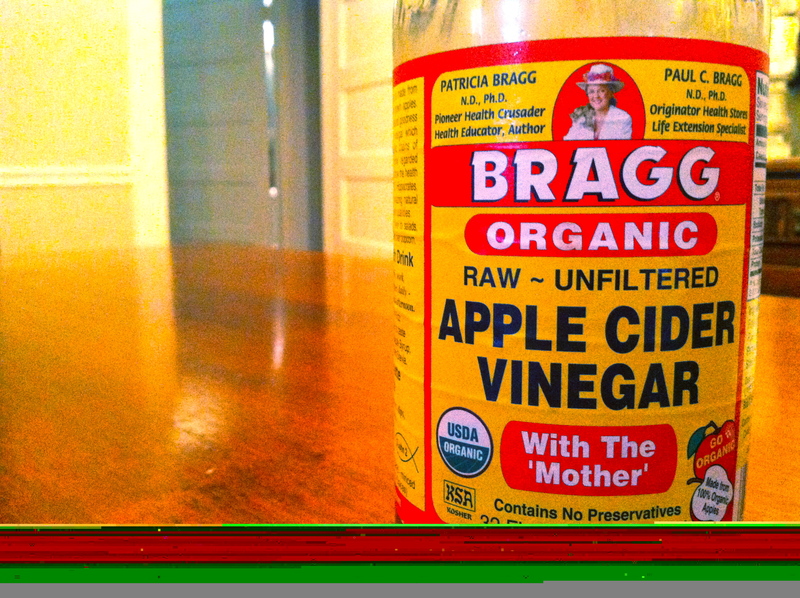 If you can’t tell, my absolute favorite brand is Bragg Organic Apple Cider Vinegar. It’s raw and unfiltered, leaving all the vital nutrients and enzymes intact; unlike most vinegars which are pasteurized, filtered, processed, and nutritionally “dead”. on Apple Cider Vinegar and numerous other books on diet, exercise, fasting, etc; and is just basically awesome. I have most of his books in my library.